And for the passers-by in Wanchai yesterday. 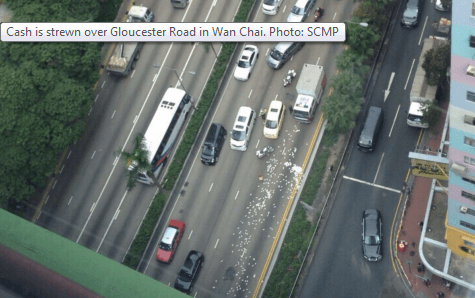 HKD15 million gone in minutes after a security van spills bundles of cash on to Gloucester Road. At least until Asia’s finest getting working on the CCTV pictures. Thanks to Yannis Baritakis for sending me the article.